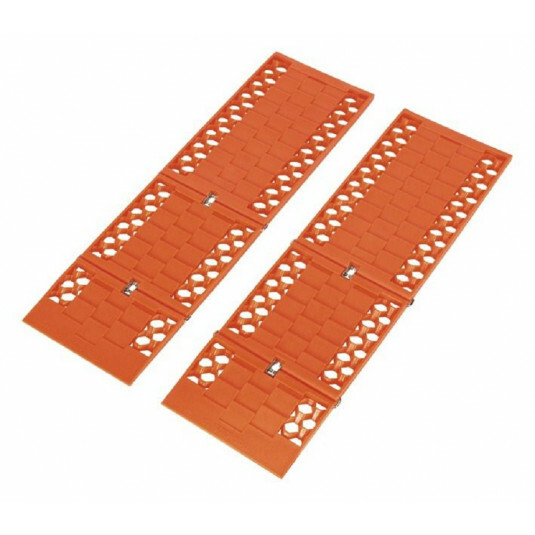 This Pair of Vehicle Traction Tracks is 600mm long and 180mm wide, allowing a maximum working load of 3.5t and a safe working load of 2t. Designed to prevent spinning wheels and the need to shovel snow away from your tyres. 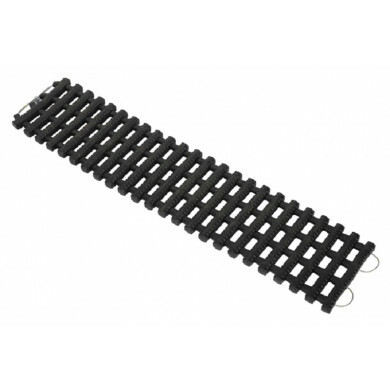 Made from flexible heavy-duty plastic with strong metal hinges. Suitable for use in snow, mud, grass and sand.